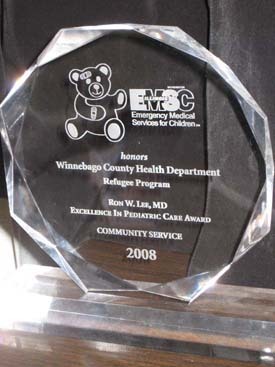 The Refugee Program provides services for refugees, asylees, and parolees who reside within the nine northwest counties of Northern Illinois. These counties are Winnebago, Boone, Ogle, Stephenson, Lee, Jo Davies, Whiteside, Carroll, and Dekalb. Clients accessing the refugee program receive a physical examination in accordance with the Internal Order of Migration (IOM) regulations. Lab work is performed. Referrals are given for medical conditions identified at the time of examination. All receive the necessary immunizations for the adjustment of status for their permanent residency requirements. Refugees, asylees, and parolees referred by VOLAG Agencies or private sponsors. There is no cost for services provided through the Refugee Screening Program. Through a referral to the program.